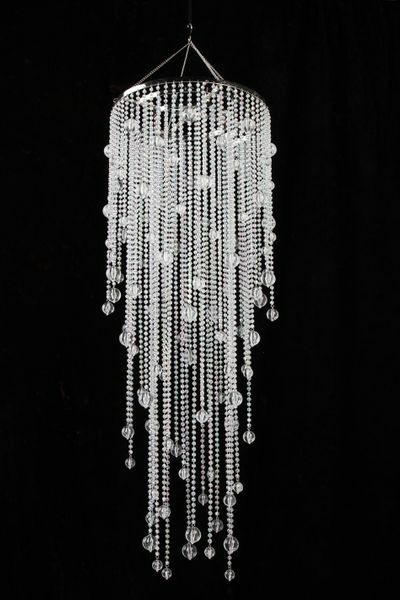 Our new "Vanessa" Chandelier features our beautiful ballchain beads interspersed with beautiful crystal round drops. 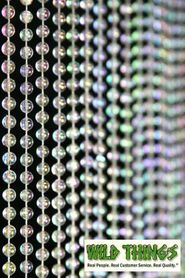 There are 3 layers of beads (extra circles full of beads on the inside of the outer frame) to complete a very full and rich look. Length (from frame to bottom bead) : 39"